Does Mineral Oil Harm Your Skin? How Long Will Annoying Hemorrhoids Last? The skin is the outermost layer of the body that is often easily damaged by environmental factors as well as stress and poor eating habits. Although there is a wide market for cosmetic products that offers to improve skin problems, nature also provides a solution to these. Natural treatments for skin that give lasting results are often better than expensive commercial products and cosmetic procedures. 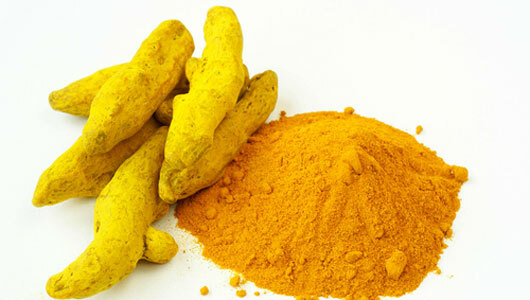 One such natural treatment is turmeric powder for skin. It has anti-inflammatory properties, which reduce skin inflammation, pigmentation and blemishes. It has antibacterial properties, which help reduce acne, especially when used with other natural ingredients. It has anti-aging properties, which help prevent and improve dry skin and wrinkles, thus slowing the process of aging to help your skin look younger. When taken as food, turmeric nourishes the skin and gives it a natural glow. Use turmeric as an exfoliating agent to reduce signs of aging. Combine turmeric powder and besan or gram flour in equal proportions and add water, milk or yogurt to make a paste. Apply evenly on skin and leave it to dry. Wash away with lukewarm water, gently scrubbing your face in circular motions. To reduce wrinkles, combine turmeric powder, rice powder, and tomato juice or raw milk to make a paste. Apply to the skin and allow to dry. The milk’s lactic acid helps peel off dead skin cells. Combine sugarcane juice, buttermilk, and turmeric powder into a paste to reduce wrinkles and dark circles. Use paste made from turmeric powder and honey paste to exfoliate skin and reduce pores. Prepare turmeric scrub by adding some lemon juice and water to turmeric powder to make a paste. Apply on skin with acne and leave on for 15 minutes. Scrub off gently with water. Use turmeric and sandalwood as a face pack for 10 minutes and wash off. To reduce acne scars, apply a mixture of turmeric powder and water on acne marks and leave on for 15 minutes. For controlling oil secretion, make a paste with sandalwood powder, ground turmeric, and orange juice. Apply the paste on face, leave for 10 minutes, then rinse off with water. Mix besan and turmeric powder with raw milk/yogurt/water and apply on stretch marks. For minor skin burns, mix turmeric powder with aloe vera gel and apply on affected area. Chickpea flour or sattu, or gram flour may be added to turmeric to use as facial scrub, which inhibits hair growth. Do this for about one month for best results. Prepare a mixture of castor oil or coconut oil and turmeric powder and apply on cracked heels 15 minutes before taking a bath. Prepare a paste from equal quantities of turmeric power and rice powder, tomato juice, and milk. Apply directly on face and neck then leave on for about 30-45 minutes. Rinse off with water. To keep your skin healthy, use this regularly or twice a week. Make a paste with turmeric powder, milk cream, or milk and apply on face, leaving it for whole night. Wash off in the morning with a light cleanser. Do this twice a week for healthy, younger looking skin. Make a paste with turmeric powder and cucumber juice or lemon juice. Apply on affected skin for about 20 to 30 minutes. Wash off with water. Do this regularly to reduce skin tanning and pigmentation. Make a paste with turmeric powder, gram flour, and rose water. Use this as a body scrub before taking a shower. Regular use will lead to clear, spotless skin. This can also be used for skin lightening, skin whitening, acne, and anti-aging. Mix 1-½ tbsp. sandalwood powder (a natural astringent), a pinch of turmeric powder, and 3 tbsp. of orange juice to make a paste. Apply on your face and leave on for 10 to 15 minutes. Rinse off with water. Apply turmeric powder directly on minor cuts to help in faster healing of wounds. Turmeric with milk helps fight dry skin. Using turmeric regularly helps fight skin disorders like eczema, psoriasis, rashes, and skin marks from smallpox and chickenpox.